Sometimes the simpler is the better. Green Life Shopify template is as simple as it only could be - no complicated color schemes, animation effects or other decorations. Just pure essence of a nutrition store, that focuses customer and makes him look to the products clothier. Navigation is very easy because the categories are displayed in the header menu and at the top of the page. Besides, the header menu is not only sticky, but a mega-menu, which shows the user all you want him to look at. The template has a blog module, so you will be able to share some news and articles with your visitors. Bootstrap is very adjustable for any modification. It's easy to work with, has a great grid system and large elements quantity. Responsive design renders a web site page very same well on any display size. Responsive design is the reason why the website will offer an excellent viewing experience to all users throughout all gadgets. Retina ready principle corresponds to a high-resolution display screen, where pixel density can be so high, so the person's eye can't figure out specific pixels. Together with the clarity and attractiveness of the photo, this screen has the best viewing perspective. And at the same time - no prohibitions on the display speed. Can I customize the Shopify template for Health Care? I like the image from the Medical Services Shopify design theme and would like to use it for my advertising campaign, can you send me this image in a higher resolution? No, we can't provide image in higher size or resolution rather than it is on the Medical Services Shopify design theme. We recommend looking for professional images on online photo resources. What am I allowed and not allowed to do with the Shopify designs for Health Care? You may: Build a website using the Medical Technologist Shopify theme in any way you like.You may not:Resell or redistribute templates (like we do).Claim intellectual or exclusive ownership to any of our products, modified or unmodified. All products are property of content providing companies and individuals.Make more than one project using the same template (you have to purchase the same template once more in order to make another project with the same design). Make sure that these charges for Shopify theme for Sports Nutrition Products have different order IDs. If it is so, contact our billing department. Will the Health Nutrition Store Shopify ecommerce template be deleted from TemplateMonster database? No, the Health Nutrition Store Shopify ecommerce template will not be deleted from TemplateMonster database. What is a one time usage license for a Sports Nutrition Products Shopify design theme? 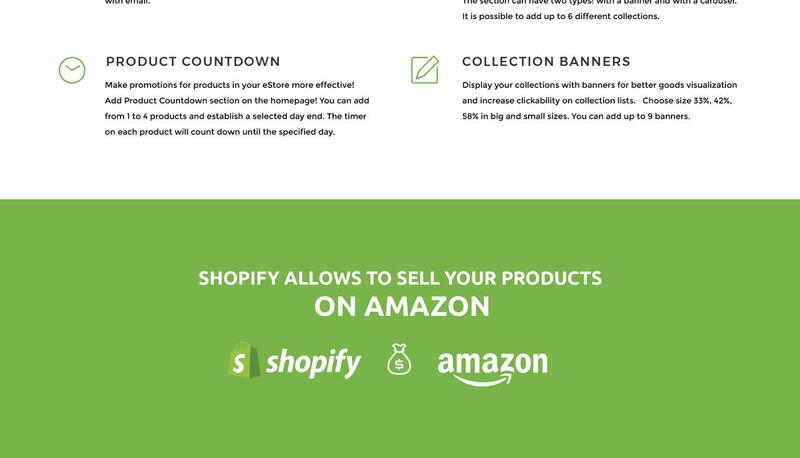 When you buy the Sports Nutrition Products Shopify design theme at usual price you automatically get the one time usage license. It enables you to use each individual product on a single website only, belonging to either you or your client. You have to purchase the same template again if you plan to use the same design in connection with another or other projects. When passing files to your client please delete the template files from your computer. Is it reasonable to make unique purchase of Medical Center Shopify template that was already purchased before? Yes, it's reasonable to make a unique purchase of Medical Center Shopify template. Because there is very small chance that you will find the same design on the net. There are more than 3,000,000,000 webpages online now according to statistics on www.google.com. I have customized the Shopify template for Medical Center and would like to protect my content by copyright, can I place Copyright, Mycompanyname.com? After Shopify template for Medical Center purchase you can put your copyright to the template. But you cannot place a line at the bottom (or any other spot) of the customized project saying "Website design by Company name". Nevertheless, you can place "Customized by Company name". What is Extended License for Health Care Shopify ecommerce theme? I would like to purchase Shopify design theme for Medical Technologies, but it is not available on the site anymore. The Shopify design theme for Medical Technologies has been sold out for exclusive price or discontinued.As technology inevitably develops, TemplateMonster may discontinue the production of certain products. It can be no longer available for sale because of being outdated. What do I receive when I order a Shopify ecommerce template for Vitamin Store from TemplateMonster.com? After you complete the payment via our secure form you will receive the instructions for downloading the Shopify ecommerce template for Vitamin Store. The source files in the download package can vary based on the type of the product you have purchased.If you need unzipping software to open the .zip archive, Windows users may visit www.WinZip.com, Mac users may visit www.StuffIt.com. Can I put a line at the bottom ( or any other spot) of the customized Shopify design for Medical Journal "Website design by Company name"? No, you cannot place a line at the bottom ( or any other spot) of the customized Shopify design for Medical Journal saying "Website design by Company name". Nevertheless, you can place "Customized by Company name". Will TemplateMonster help me to install my Shopify ecommerce theme for Health Supplements? Some of our products like osCommerce templates, Zen Cart templates, etc. require installation to operate. Installation services are not included in the package price. TemplateMonster though offers you a variety of sources to help you with installation of your Shopify ecommerce theme for Health Supplements including installation instructions, some articles with our Online Help Center. Our Knowledgebase contains customers questions and most frequent problems. Anyway, you can always refer to our partners from TemplateTuning.com to install your Shopify ecommerce theme for Health Supplements for you for a small fee. Can I resell the Shopify template for Medical School as is? No, you cannot resell the Shopify template for Medical School as is. Can I integrate the Shopify ecommerce template for Vitamin Store with third-party software or applications for development of my new products? No, you cannot get the developers license for development of Shopify ecommerce template for Vitamin Store or other products. Will you help me to customize my Shopify design theme for Medical Technologies? We do not provide any help or instructions on Shopify design theme for Medical Technologies customization except for www.template-help.com help center. If you are not sure you can customize the template yourself we recommend to hire a design studio to customize the template for you. How can I modify Medicine Shopify design theme to suit my particular website? Please visit our Online Help Center to obtain detailed instructions on editing Medicine Shopify design theme. 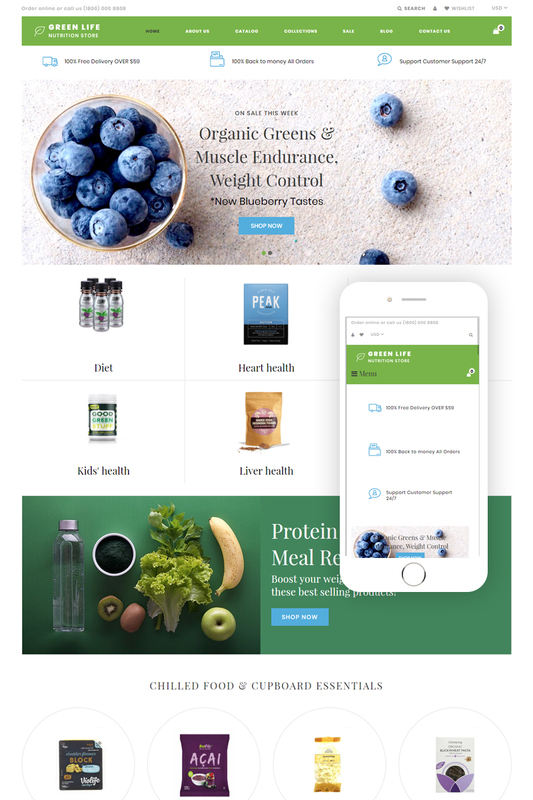 Is it possible that Template Monster will contact my client which website I made from Template Monster's website Shopify ecommerce template for Nutrition Products? Yes, our legal department checks licenses regularly. In case we won't find designer's contact information on the site which was made from the Shopify ecommerce template for Nutrition Products of ours we will contact the owner of the site directly. Are there any restrictions for using imagery, cliparts and fonts from the Shopify ecommerce template for Nutrition Products I purchased? All imagery, clipart and fonts used in Shopify ecommerce template for Nutrition Products are royalty-free, if not stated otherwise on the product page, and are the integral part of our products. One Time Usage License and Developers License give you the right to use images, clipart and fonts only as a part of the website you build using your template. You can use imagery, clipart and fonts to develop one project only. Any kind of separate usage or distribution is strictly prohibited. Will TemplateMonster help me to edit my Shopify theme for Health Care Equipment? TemplateMonster offers you a variety of sources to help you with your Shopify theme for Health Care Equipment. Use our comprehensive Online Help Center to get the basic knowledge about your Shopify theme for Health Care Equipment. Our Knowledgebase contains customers questions and most frequent problems. Anyway, you can always use TemplateMonster 24/7 phone support, try our Ticket System or Live Support Chat to get qualified assistance from our support representatives. Are there any discounts if I'm buying over 10, 20, 30 or more Shopify design for Medical Doctor ? Please email to marketing@templatemonster.com with your inquiries about Health Nutrition Store Shopify templates. Can I get the Shopify template for Medical Drugs in higher resolution to use for printing? No, we design Shopify design themes for Medical Equipment optimized for web resolution only.